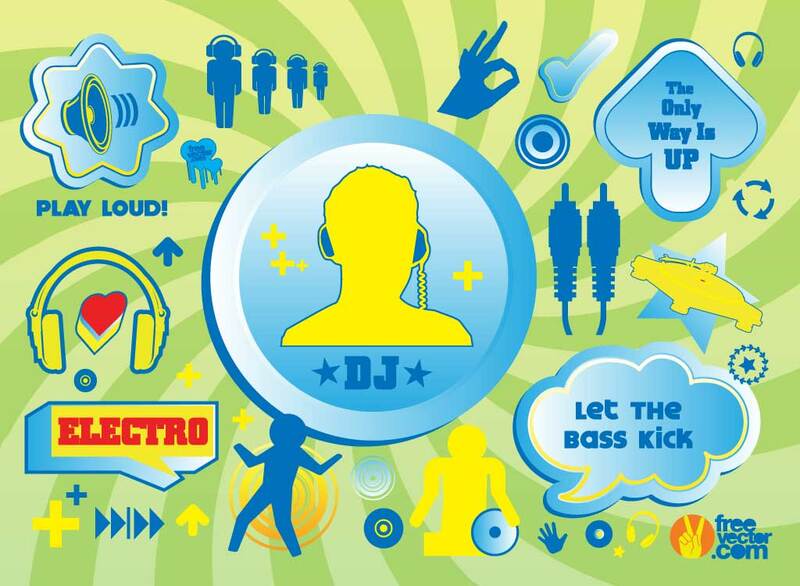 Cool music vector art footage set for your party and event themes. This audio themed Illustrator icons and symbols bundle is perfect for a poster, flyer or music app. Lots of modern style vector elements to choose from for your digital art and web projects. Available as Illustrator AI and PDF formats. Tags: Audio, Deejay, Headphones, Music, Party, Silhouettes, Techno, Turntable.